I’m sure by now between the roll in post, and other blogs, you’ve all gotten a taste of what AutoCon 2012 has to offer – so let’s just jump right into this. I’m admittedly not the biggest fan of car shows in general, but the thing I like the most about these annual shows is the chance to see various cars transform from the previous year, as well as getting the opportunity to see totally new and fresh builds for the first time. It’s also a great opportunity to meet people within the industry. I always make it a point to introduce myself to a few new people during each show. Not only to make new friends, but to get insight into new feature cars and stories; I can thank a lot of good material just from random introductions. I can honestly say that it is easy to see the growth of NDF simply by the reaction of others when I drop the blog’s name. I went from virtually no one knowing what Narita Dog Fight was and getting blank stares, to a good percentage of people who support it – and that’s cool to me. 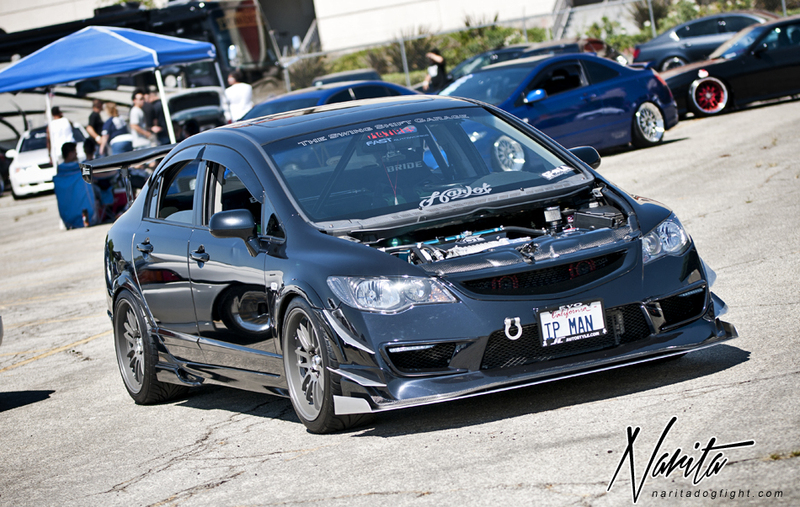 Alright, enough reminiscing – click past the break to see part 1 of Auto Connection 2012 coverage. It’s worth noting that I’ve been out of town all day, and will continue to be for the remainder of the week. So if the coverage is slow to post, I apologize. I experimented with a couple different lighting styles in the post processing this time and I think some came out pretty neat looking. I only did a couple per post so the edited doesn’t look too overboard. 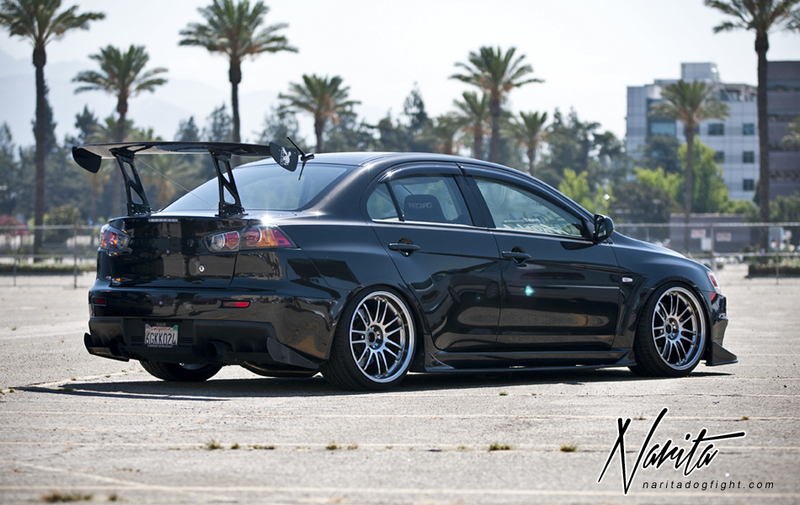 This EVO X was looking pretty beefy with the Origin GT Wing and Varis rear diffuser. 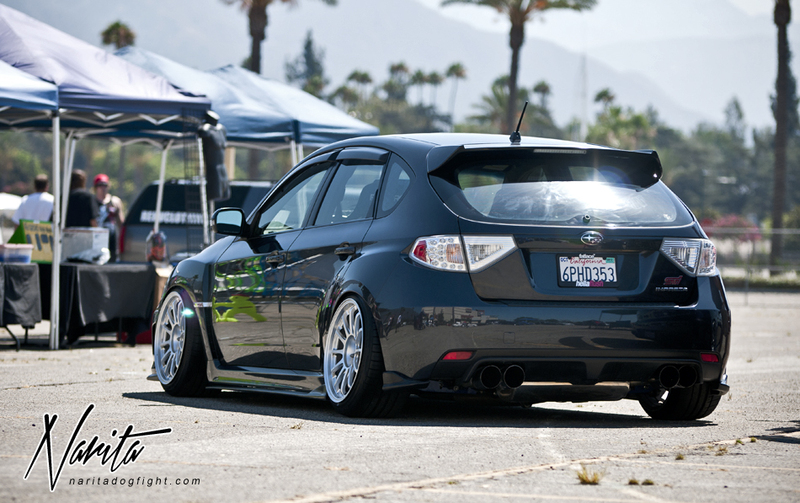 Not the biggest fan of this style STi, but man, this one was absolutely flawless. A really nice looking car. 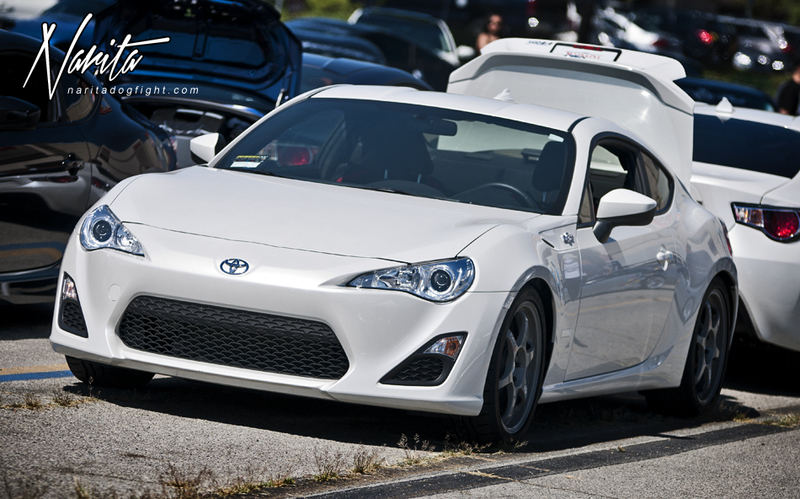 While the FMIC negates the need for the hood scoop, I think it might look strange without one. 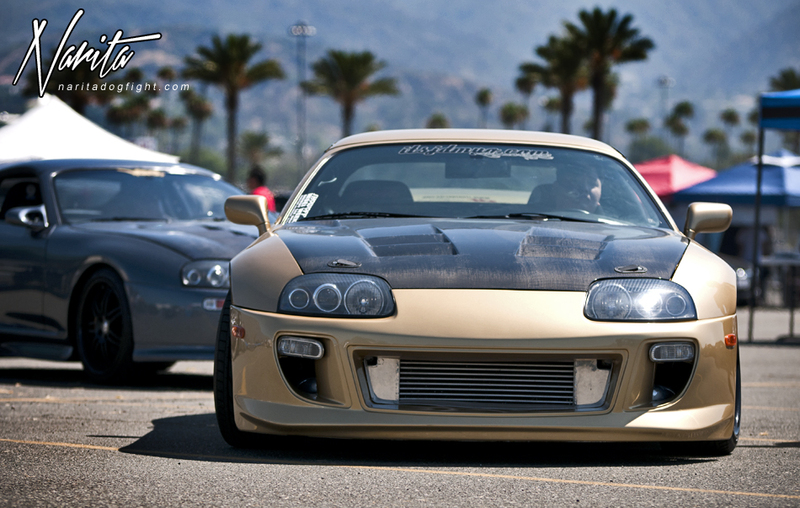 One of the better looking FD’s at shows around California. 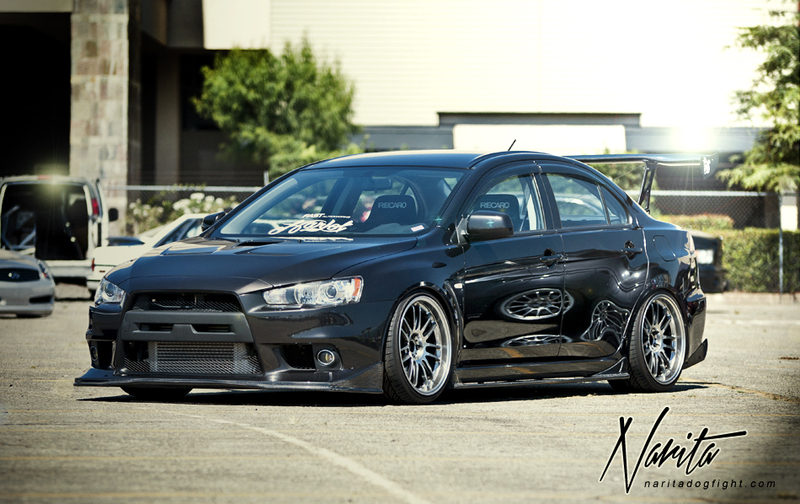 I think this car was just featured in a magazine – I can’t recall which one though. 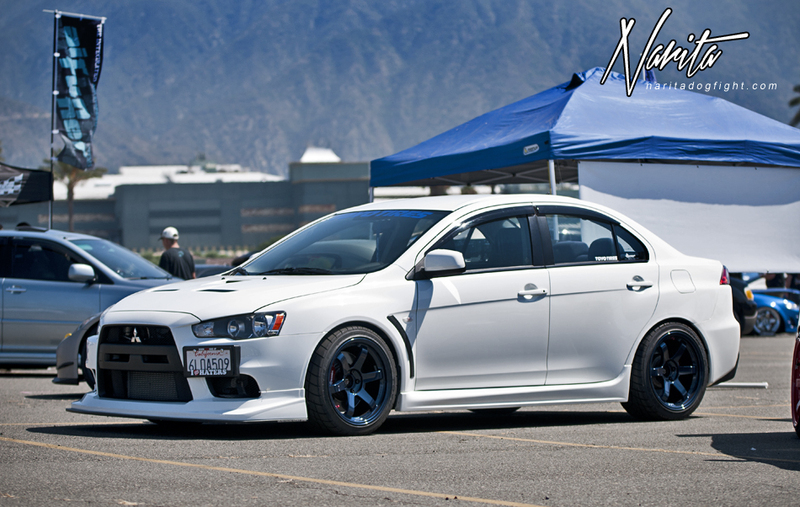 Another EVO X that I believe was in attendance at Wekfest LA just last month. 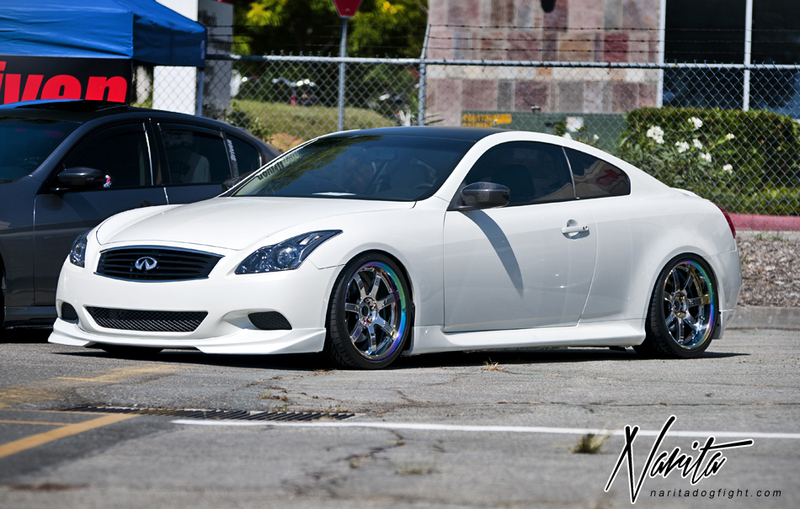 G37 from SoCal Driven on Gram Lights. Which was right next to the Platinum VIP caravan. They seem to always have the cleanest VIP showings – this LS460 being no exception. I guess technically this could still be a roll in post because as I was walking around, the show vehicles were still being staged. It was hot and I didn’t want to waste any time though as I knew if I waited it would be impossible to get a clear shot. 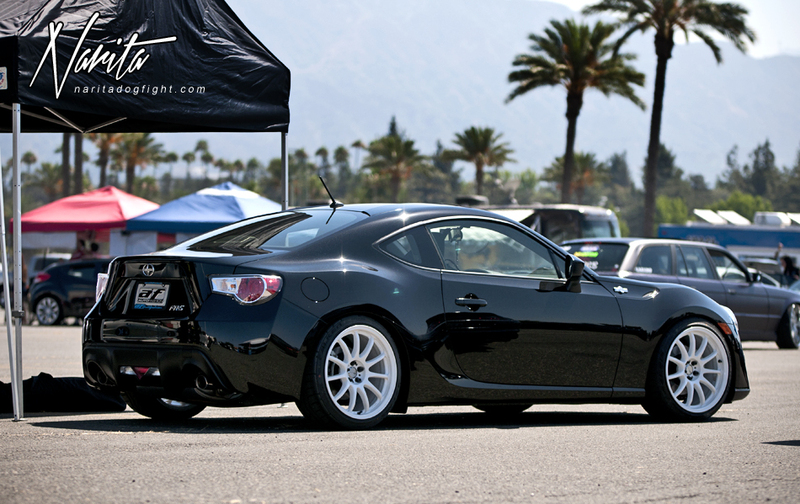 Miwa’s FRS on the grey loner Type-C’s. 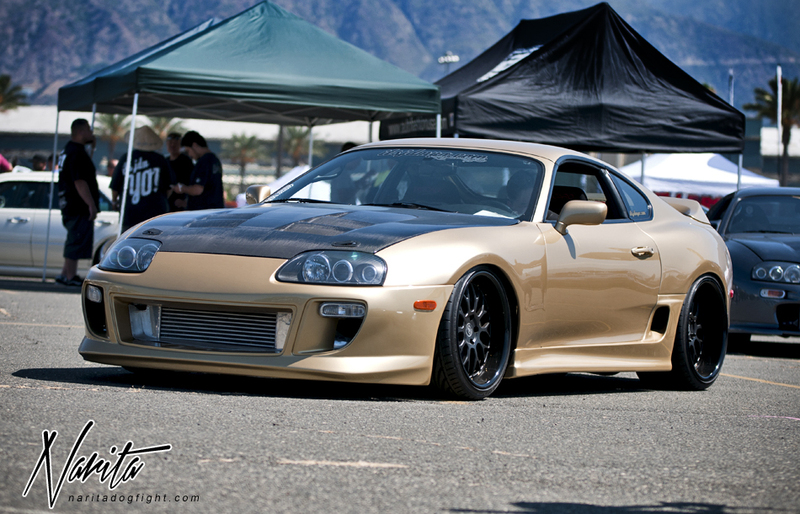 A couple more shots of the gold Supra from the roll-in post. I really like the subtle aero; and the giant front mount. 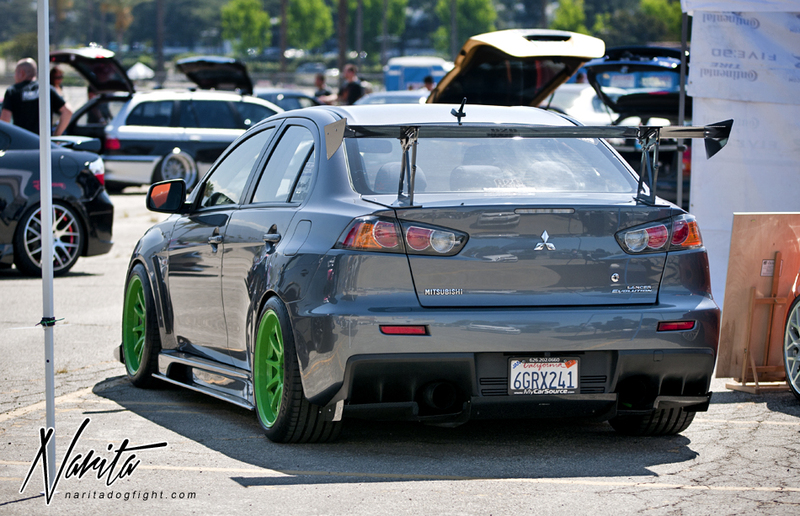 Maybe sufficient contact patch between the two of them…maybe… Hella camber. A handful of performance oriented builds. ; from extreme to mild. 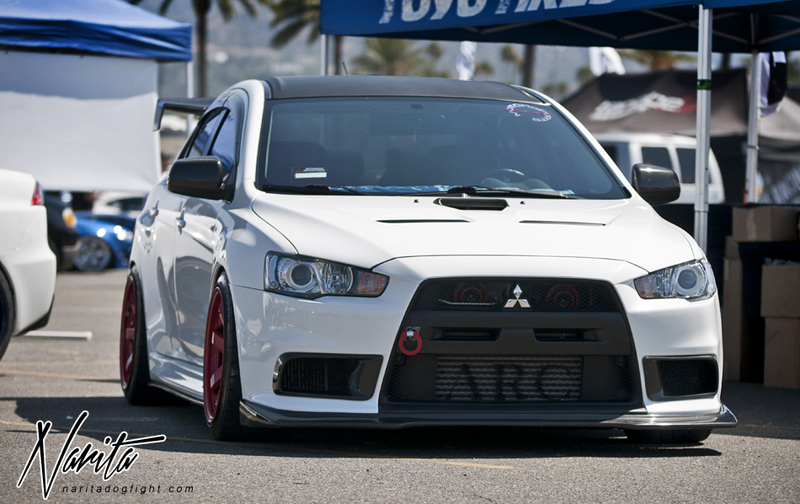 I like how the two white EVO X’s on red and blue wheels were parked next to each other – quite the compliment to one another. 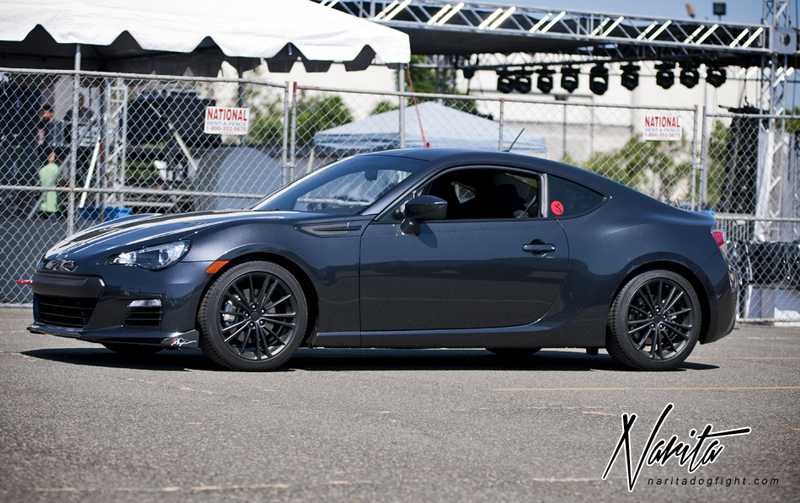 I thought this BRZ was worth sharing – it has a few subtle mods that I haven’t seen before. 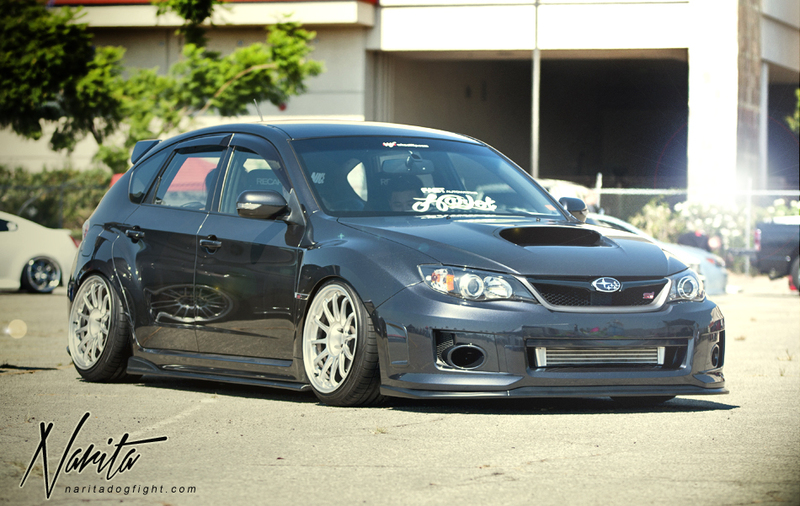 Such as the ARC Magic wings, and the little carbon inserts for the front fender accents. The owner reduced the blow from the OEM wheels by spraying them flat black. Well, I have plenty more to show, but I’m going to have to leave it here for the night. I have another early flight in the morning and gotta get some rest. Check back tomorrow evening for part 2 of the coverage (which will hopefully be a little longer). Thanks for visiting!